While the first button you press every morning is on your alarm, the next button you press is likely the one on your coffee maker. Making coffee is invaluable to getting over that morning grogginess and keeping you awake during meetings and increasing productivity. Choosing the ideal coffee maker for your needs and preferences sounds simple but can feel a bit challenging due to the sheer amount of choices. After all, there are more coffee-related products on the market than ever before. There are, of course, many coffee maker brands and models, but these days you do not need to spend much money to find a consistently delicious coffee maker. Cheaper coffee makers can offer excellent value and offer strong considerations when one is in them market for a new coffee maker. Figuring out what kind of coffee maker you want should be pretty straightforward, as long as you have a good idea of how you like to take your daily dose of morning caffeine. For that reason, here are the factors that you should consider before you finally settle on your next coffee maker. Quantity simply dictates how much coffee you consume at one go. For instance, you buy a single-serve coffee make but you average five cups, you’ll have to go through the coffee-making process five-times over before heading out the door in the morning. The same goes if you need to make coffee for the whole household rather than simply for yourself. What’s your favorite type of coffee? When you visit a coffee shop, what’s the most likely thing you’re going to order? It should go without saying that whatever coffee maker you opt for should be able to brew the kind of coffee that you most regularly take, or what’s the point of getting one? 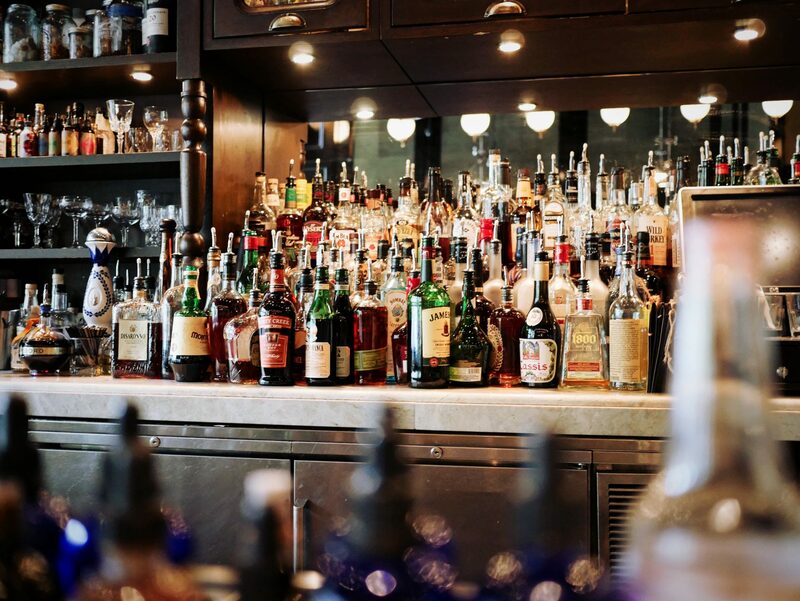 If machine you want to get costs somewhere upward of hundreds of dollars and you don’t have that kind of money, you’re going to have to make some compromises. For this list, however, we tried to limit them to within the affordable range of $40 – $80 without having to compromise on quality, since the more expensive models didn’t particularly stand out in comparison. Price aside, just be sure that whatever you settle on doesn’t cost so too much in the long-run. It may be worth spending a pretty penny now to save on the cost of having to replace its parts or even buy a new one altogether. If you’re like the greater populace and prefer your coffee fresh in the morning, then you’re going to want to avoid a coffee maker that’s complicated to use. The most you might want to deal with a few minutes after waking up is sticking a pod in and pressing a button. 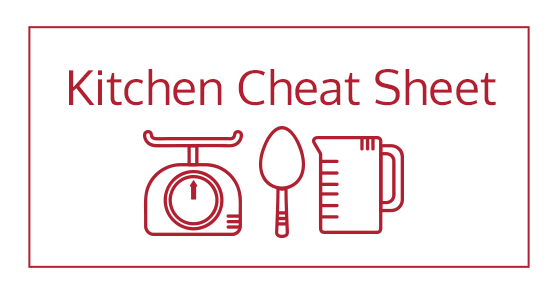 Every kitchen has limited space, and yours is probably no exception. Unless you’re willing to give up the microwave’s permanent spot, you may have to go for something that takes up less space on the counter top. Before you buy or during the buying process, look at the dimensions of the coffee maker and weigh it against how much kitchen real estate you’re willing to sacrifice. Nobody wants to wait around for a whole hour for their coffee to brew, certainly you don’t have that kind of time. For that reason, you’re going to need a high-performance coffee maker that does the job in ten minutes or less. Of course, you’re going to have to remember that there are physical limitations as to how fast water can be heated without blowing up its circuitry, burning your house down or throwing your electricity bills through the roof. 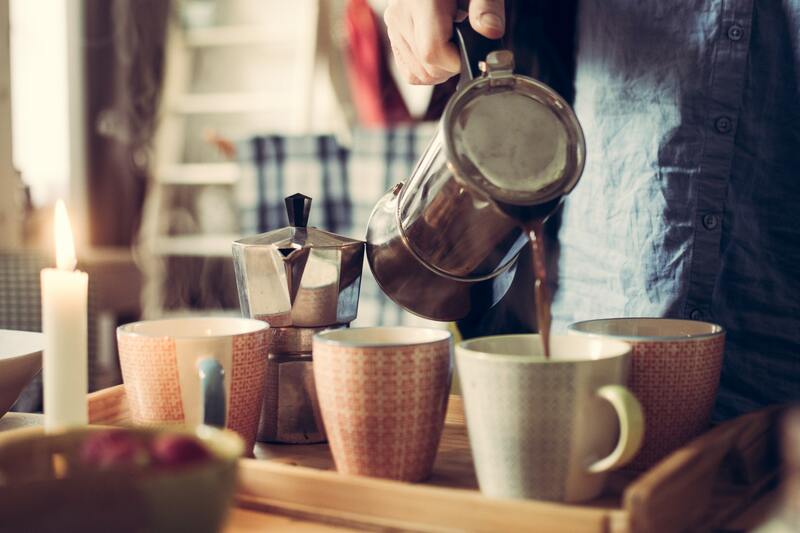 There are tons of different models of coffee makers out there, catering for virtually thousands of different preferences people have for their favorite mid-morning beverage, and naturally, some come loaded with more features than others. Some of these features are pretty neat, especially if you’re very particular about how you want your coffee. These features may just be worth keeping an eye out for while you’re out there. Programmable Settings: This feature is nice to have if you have coffee at the same time every day. Some coffee machines will let you determine the settings on your own, and just like setting an alarm to ring at the same time daily, the coffee maker will turn itself on and brew coffee for you at the prescribed time. Built-in Grinder: Depending on who you ask, freshly ground coffee beans produce the best-tasting coffee. If you’re one of the coffee aficionados who simply won’t settle for anything less, a built-in grinder will do you some great favors. 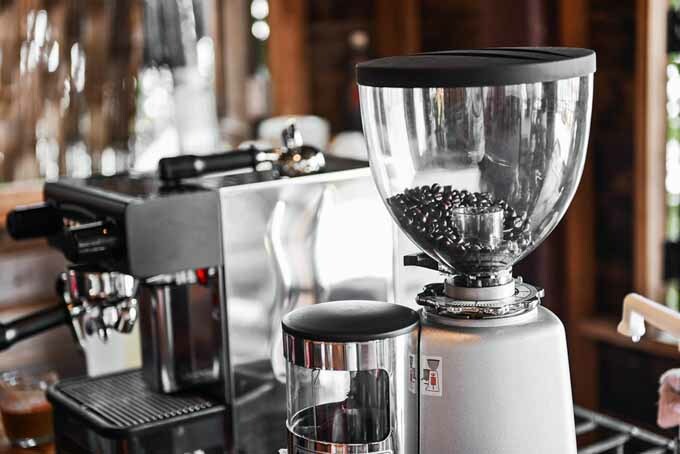 Of course, buying a coffee grinder separately is still an option, but having one built into your machine adds some level of convenience and saves on precious counter space. Auto Shut Off: There’s a very large chance at one point of your life you’ve experienced the morning rush and forget to turn off one thing or the other inside the house. The auto-shutoff feature ensures that the coffee pot gets turned off, rather than sitting there while running inside your house all day. Multiple Warmers: Having multiple warmers is particularly convenient for office settings where it’s often necessary to brew multiple pots of coffee at once, since it can easily keep each pot warm separately. Water Filter: This feature if often included in high-end coffee makers, and targeted for people who want their coffee pure to the largest degree. This is another one of those features that you should consider getting if you really value your coffee’s taste. Steamer/Frother: A streamer-included coffee brewer should be considered if you take steamed milk in your coffee. For the most part, though, these will be found in most espresso machines, but if you only drink black coffee, you may not need this. 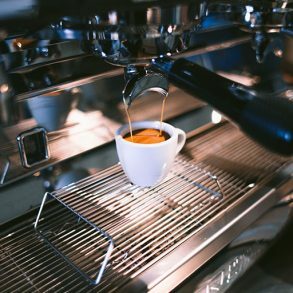 Before we get down to our favorite picks for best coffee makers you can afford on a budget, it’s probably worth mentioning that you shouldn’t expect coffee from a budget coffee maker to be as good as great, taste-wise, as that from a higher end machine due to the dire lack of features in most of them. It doesn’t often happen that the cheapest pick winds up on top, but this is one of those rare exceptions to the rule. The Hamilton Beach 12-cup makes a great first impression with one of the fastest brew times on the list at an average 6 minutes 30 seconds. In terms of ease of use, the Hamilton Beach 12-cup also came out on top, with a removable water reservoir for easy filling, inclusive of a rotating base that makes it easy to access and fill water, by far. 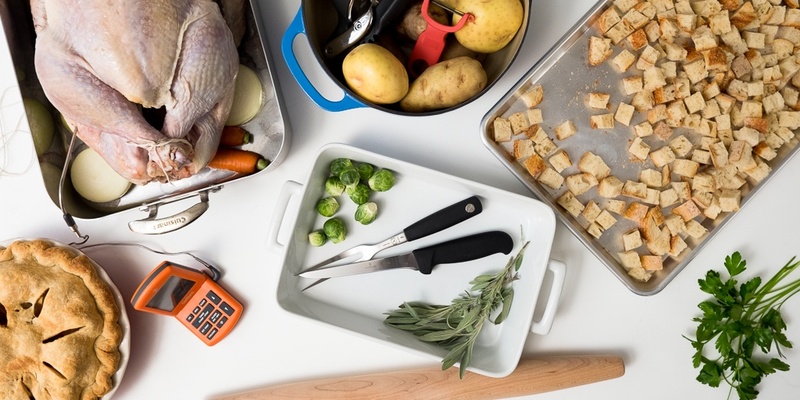 It also has a simple user interface, possessing just a few buttons, the minimal interface of the Hamilton Beach makes getting used to its features pretty easy to get used to. It may not produce the tastiest coffee of the bunch, but considering its price, it really outperforms most people’s expectations. As long as you’ve got high quality beans, the Hamilton Beach will produce coffee with just the right acidity and sweetness balancing each other out. 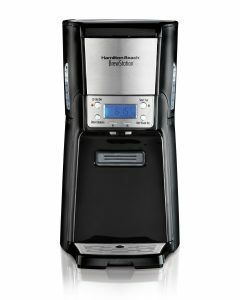 In addition to producing the best-tasting coffee and doubling up by being the most user-friendly of the on this list, the Hamilton Beach comes with a few great features that sets it above the rest of the competition. It measures just 16 by 11.2 by 9 inches, giving it the smallest footprint of all the devices here. Finally, just in case you were worried about the carafe dribbling while pouring, you’ll be glad to learn that it works just okay. It is, however, made of glass, so you’ll either have to drink your coffee soon after you’re done brewing it, pour it into a separate thermal container or use the included warming plate to reduce the odds of you burning your coffee. The Hamilton Beach costs just $40, which is a really big win in your books, but you’re going to have to understand that a lot of features were sacrificed at the cost of affordability. This often comes to haunt it in some areas. The most complained-about feature we’ve run across so far was durability, with many complaints raised regarding its failure to last past the one-year mark. 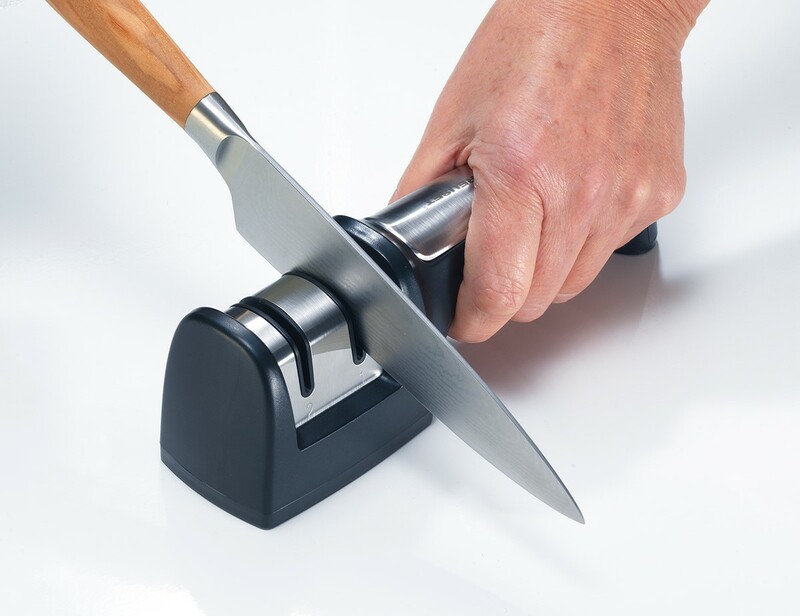 However, if this does happen, Hamilton Beach offer a limited-time warranty that should be able to cover up for any defects that occur at that time. 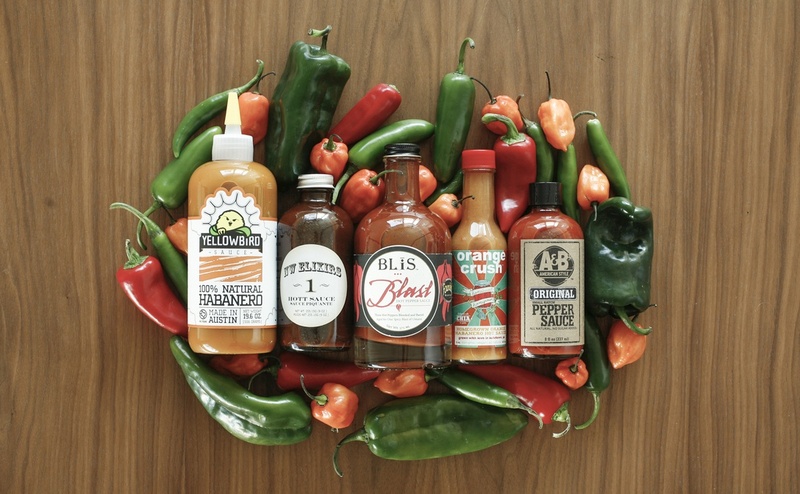 Additionally, the Hamilton Beach didn’t produce the hottest drinking temperature of the bunch, but it should be quite satisfactory for most people. Its brewing temperature should be around the 190 (87.7778 degrees Celsius) degree mark, as compared to other entrants on the list that reach as high as 203 (95 degrees Celsius) degrees. If you love your coffee scalding hot, this might be an issue for you. 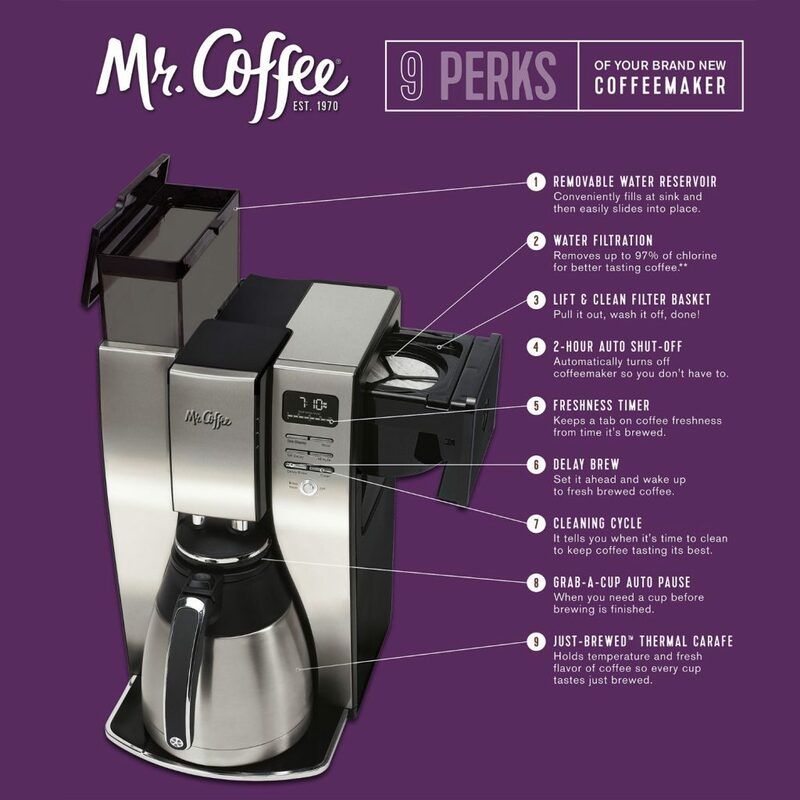 The Mr. Coffee Optimal Brew 10-Cup Thermal Coffee Maker (BVMC-PSTX95) has a brew time of just 5 minutes, 15 seconds, making it the quickest of the bunch, brewing a strong coffee at slightly acidic levels, but not so much that it’s undrinkable. Another big plus is the fact that it comes equipped with a thermal carafe for keeping your coffee hot. Now, whereas this was thoughtful of the manufacturers, it’s been subject to a lot of criticism due to its substandard thermal retention capabilities. It will still be a good fit for you if you prefer your coffee extra hot before it crosses the drinkably hot threshold of 150 degrees (65.5556 degrees Celsius). In some ways, the Mr. Coffee’s carafe is a victor in its own right since uninsulated glass carafes usually fare much worse, which is the reason for the hot plates beneath them. The entries listed below are subject to a bit of debate regarding their performance, but we chose to include them on our list because they were either favorites among consumers on Amazon or were otherwise recommended by various outlets like Consumer Report. Despite the fact that some of them definitely performed relatively well, they fell short in far too many areas to be able to make the cut for the best coffee maker. This is likely because of the exclusion of some features that left them clunky and nearly impossible to use (or drink after brewing). Black + Decker 12-Cup Thermal Coffee Maker — Once again, this model has a relatively large number of great reviews, and looks great enough to add to your kitchen counter top at an affordable price. However, a hands-on experience may prove a bit daunting, because it features a cheap-looking (and feeling) plastic body and clunky user interface. It’s brew time is also the longest of any of the machines on this list (8 minutes), which results in a really bitter coffee. If you don’t mind the taste and just want caffeine in your system, though. It’s a relatively good find. Mr. Coffee Advanced Brew 12-Cup Programmable Coffee Maker — The Mr. Coffee brand returns with yet another entry, the Mr. Coffee Advanced Brew 12-Cup Programmable Coffee Maker. We chose to include it on this list because it’s a favorite among Amazon shoppers, and was once included by Consumer Reports as a ‘best buy’ option. Upon research, however, it had some pretty terrible performance and couldn’t possibly make the cut. Despite the addition of the word ‘advanced’, there is hardly anything that reflects that claim in this newer model. It yields over extracted, bitter coffee that’s pretty hard to gulp down if you’re used to finer tastes. Its interface is also quite confusing, and has a strange-looking chrome paneling that makes this machine the ugliest on the list. 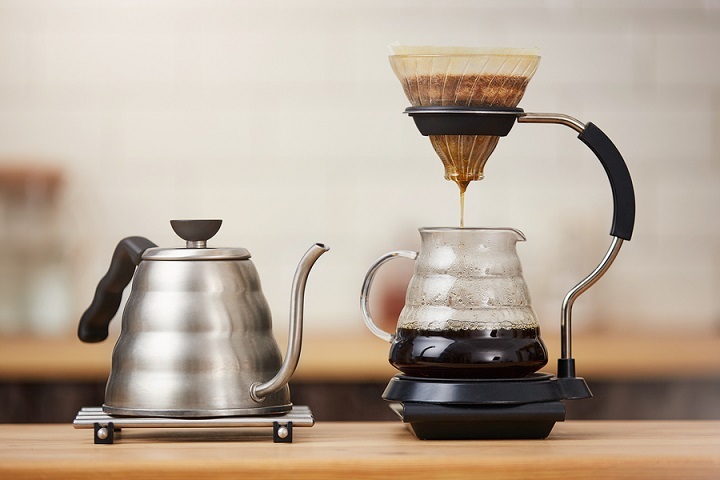 Braun BrewSense Drip Coffee Maker — Our final entry is the Braun BrewSense Drip Coffee Maker (KF7150BK), which is a new feature device aimed at the mass market from the well renowned US-based manufacturer. It does produce a decent coffee – not too bitter, but also not too fine, but aside from that, it falls flat on its face. This is all the while costing nearly three times as our number one pick, the Hamilton Beach.